2017 - Mike received the Max Green Winners Circle Award for outstanding production by a salesperson and was a Top Producer for the year. He was invited into the Colliers Everest Club for placing among the top 10% of Colliers brokerage, valuation and Corporate Solutions professionals across the Americas region. 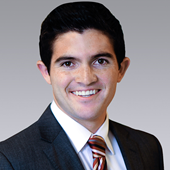 2016 - Mike was recruited by Colliers International to lead commercial transactions in the Greater Orange County Airport Area. That same year, he received the Max Green Winners Circle Award for outstanding production by a salesperson. 1988-2015 –Mike’s career began in 1988 when he earned the honor of Rookie of the Year. During his career, he successfully completed seven of the largest building sale transactions in South Orange County totaling over 1.67 million square feet and over $250 million in consideration. Mike’s creative approach to delivering measurable results added value of $25 million in land sale revenue in the Irvine Spectrum by identifying a need, initiating a zone change process and using a managed bid process to sell 16 acres of medical land over a 12- month period. He was also selected to represent Walton Street Capital’s interest in its South Orange County Industrial Portfolio consisting of 8 industrial parks totaling approximately 1.5 million square feet. Additionally, Mike negotiated, on behalf of The Irvine Company, 53 developer and user lot sales totaling 161 acres with a combined value in excess of $188 million. It was the largest land sale program in Orange County resulting in 1,689,000 square feet of additional square footage. His extensive experience in the acquisition and or development of land sites, office and industrial business parks, aka "small buildings for sale projects," led to 17 projects and 550 buildings sold since 2000. Mike graduated with a Bachelor of Arts in Business Economics from California State University, Long Beach.